According to a Harvard study on our program, 83 % of our students developed a more positive self esteem, 85% felt more strongly about their career goals and 80% of them improved their academic results. Given the high impact we had with our mentors and mentees, we plan to scale operations to include more high risk children in our program. Currently, we run three centres with over 170 mentor mentee pairs, in Mumbai. 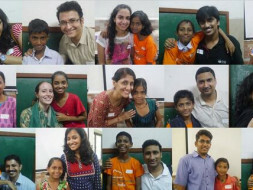 We would like to provide the program to 30 more street kids residing near the Red light area of Mumbai. The funds will be used for providing training/ operations cost for our Mentors so that they feel completely equipped to handle the high risk children. Each Pair cost comes upto Rs,10,000 and we need minimum 30 kids to start a new centre in that area.